"Zion Classics" (The dwelling place of God) was started in the year 2000 by a promising and talented young man named Mr. Jino Kunnumpurath. The registered office of this company is at Thodupuzha (pulimoottil plaza,Pala Road). It releases at least 7 albums in a year. 'Zion Classics' has its dealers all over the world. In UK, USA, Canada, UAE, Ireland, New Zealand, Australia, Germany, Switzerland, Italy, Austria, Singapore, Israel, Africa, Quatar, Kuwait, Soudi Arabia, and all over Europe. 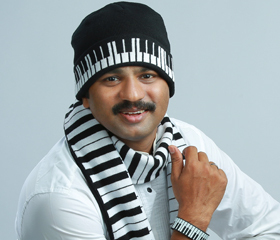 Mr . Jino engages most of the famous playback singers from all over India and mainly from the state of Kerala. Moreover he is also interested in engaging and promoting young and talented script writers, musicians and singers by giving them chances whenever possible. It is a great pleasure to state many are thankful to him as they have developed their ability through him. He is also happy to cooperate with those who are working in this field and may contact him if they are interested. Mr. Jino lost his father when he was very young. He was a poor rubber tapper and the only bread winner of the entire family. Jino was left with his mother and three sisters. Later he took up the responsibility of the entire family. He realized his talent in acting and also in singing. Jino therefore went after famous directors and producers as he had great desire to become an actor. But he never got a chance to prove his ability through them. Thus he became desperate. Moreover his father’s untimely death put him into utter confusion. People feeling pity on him lead him to a retreat centre (Thabore retreat centre) at Eazhumuttom, Thodupuzha. During the retreat he was inspired and started trusting in God. He became a devoted and prayerful person. During the retreat he was inspired to become courageous and to edit a cassette with Christian Devotional Songs. On returning from retreat his worry was to find finance for the project. He found no source for this. During his earlier days he lost a lot of money, having run after producers and directors of the movie world. Therefore he was unable look for the help of others as he was being insulted and humiliated by his family and the people of his locality. Finally his mother out of love for him, realizing his ability and believing that he will be successful in his endeavor, gave him a sum of Rs. 50,000.00, which was her only wealth, on condition that he should return the same at the earliest. He strongly feels that it was a special gift from God at the time of his great need and to fulfill His purpose. Thus it became a turning point in his life. God’s spirit started working on him and he very enthusiastically started working for the purpose and his first album "ZION" was released on 2nd November 2000. This album was a great success. So far he has produced 103 albums of great quality, the 103rd one is named "WINGS OF PRAYER & PRAISE". 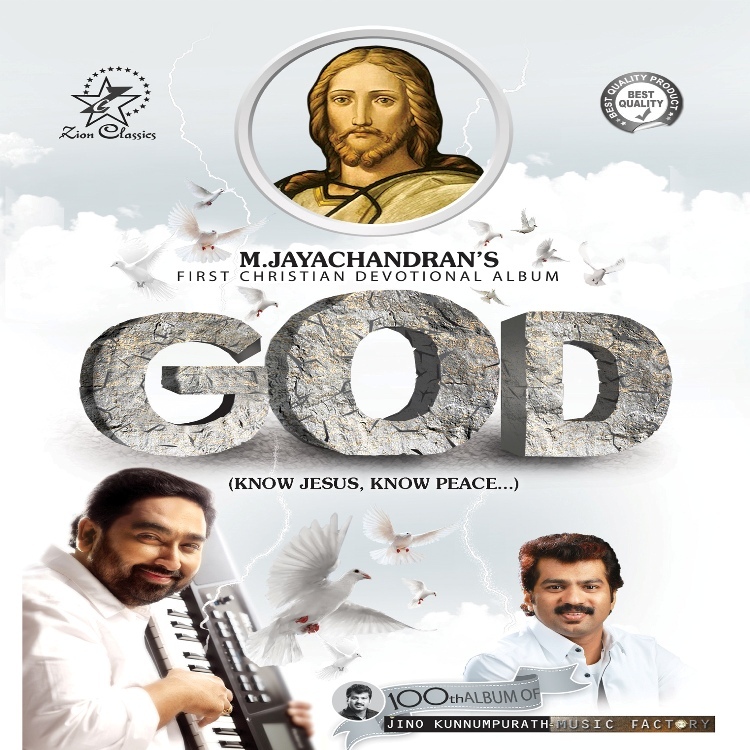 "PAITHAL", "EESOW" , "GOD", "BEST OF MARKOSE", "ARADHANAKKETTAM YOGYANAYAVANE", "EESOYE NINNE ENIKKENTHORISHTAM", "DIVYA SANNIDHYAM", "PITHAVE ARADHANA", "BEST OF KESTER MP3", "101 KARAOKE MP3", "KUTTIPPATTALAM VCD", "JEEVAN NALKUM VACHANAM MP3", "VYDYAN", "KAAZHCHA", " PARISHUDHAN MP3", "SRUSHTAVU MP3", "MANASSU", "ADHIPAN", "ZION", "KANNEER", "VAYAL", "SEENAI", "NADHAN", "DIVYADHANAM", "DIVYASAMMANAM", "PITHAVU","KARTHAVU", "SRUSHTAVU","YAHOVE", "GURU", "PARISHUDHAN", "HOLLY MAS(PATTU QURBANA)", "KARUNAUDE JAPAMALA", "ENIKAY ENTE DAIVAM","MARIYAM","JESUS THE ONLY SAVIOUR","ADHIPAN","WAY OF THE CROSS","SWRGEEYA DHOOTHAN MP3",SWATHWANAM MP3","KARTHAVU MP3","PITHAVU MP3","DIVYADHANAM MP3","SNEHAPALAKAN MP3","ENTE 'X 'MAS","DIVYA NAKSHTHRAM", "DIVYA THEJAS","DIVYA PRAKASHAM","KARTHAVU VCD",and "PARISHUDHAN VCD",are very popular among the people. People who have used his albums must be knowing that they are of great quality and uses latest technology in making them. It is worth mentioning that Mr. Jino’s albums are very much appreciated by people all over the world and particularly the Christian Community. He stresses mainly on good Christian devotional songs. The albums are marketed by his own company.